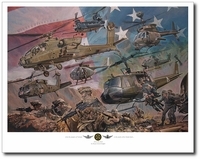 Overall paper print sizes: 20" x 26", 25" x 33"
Image sizes: 16" x 22", 21" x 29", 18" x 24", 26" x 36"
Over the last fifteen years Rick Herter has had the distinct privilege of painting original oils for the Boeing Company and their Apache attack helicopter customers. This, his latest painting was commissioned for the Royal Saudi Land Forces. 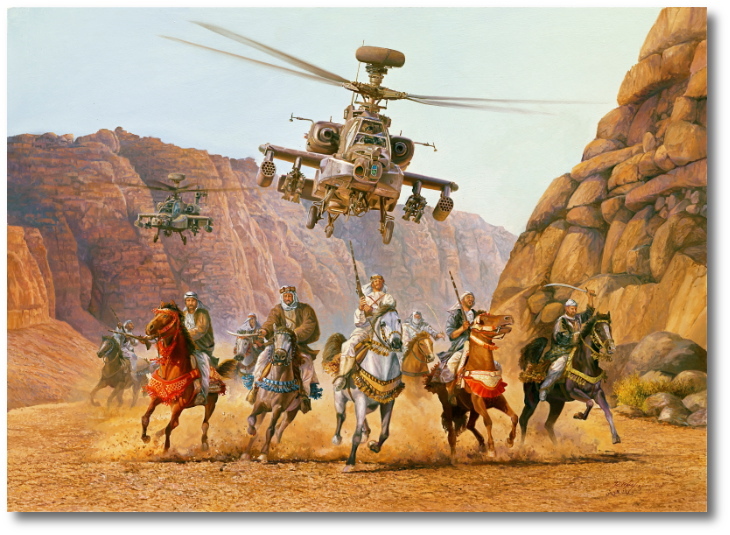 This dynamic and action packed image captures the history of the original Saudi Mounted Cavalry which traces its roots back to the bedouin history of Saudi Arabia. The imagery of charging warriors on horseback is juxtaposed with the modern technology and firepower of the world's premiere RSLF Boeing AH-64 attack helicopter. Along with the U.S. Army, nearly a dozen other countries depend on the Apache for their defense needs. 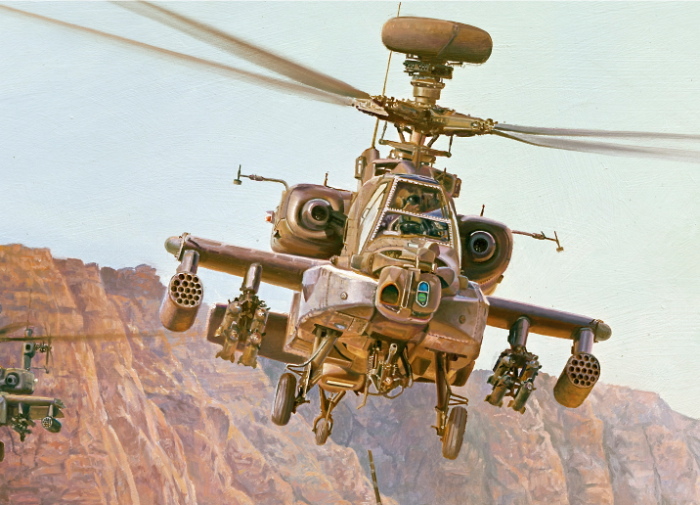 Rick Herter's Apache paintings hang in the defense headquarters buildings of all of those countries.